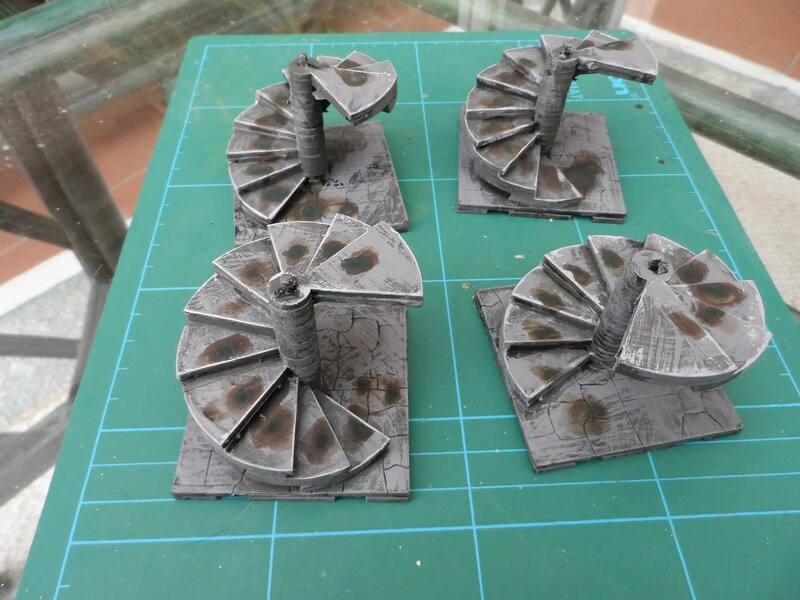 As used in the Walenton Manor scenario, here are the stairways used. MDF, easy to put together and cheap. 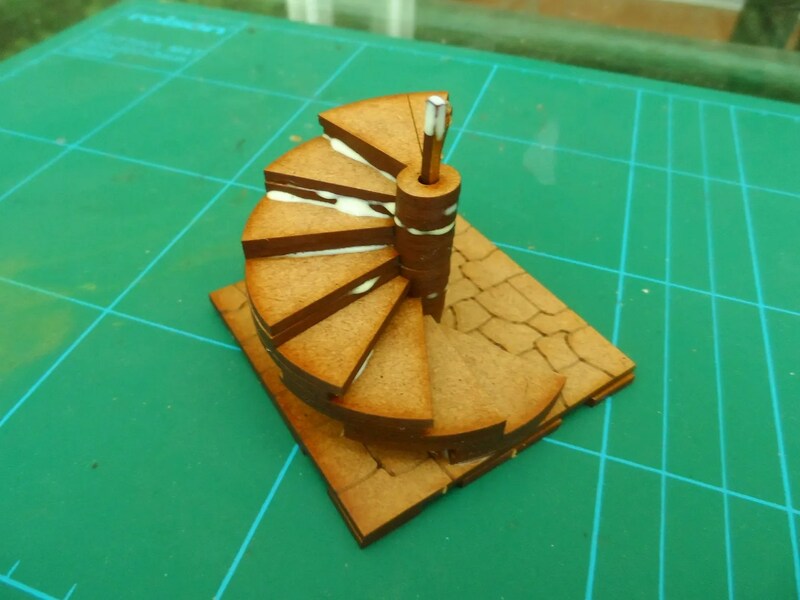 I have done stairways using balsa but these seemed an easy option. 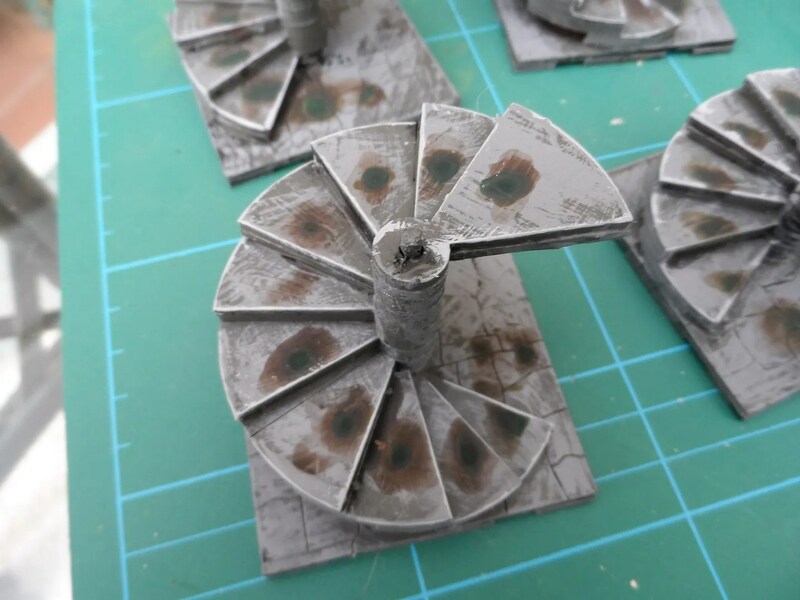 Painted the usual grey, weathered with brown and green to represent dirty footprints, and then highlighted light grey at the edges for definition. I hadn’t got round to the highlights in time for the Walenton Manor game. 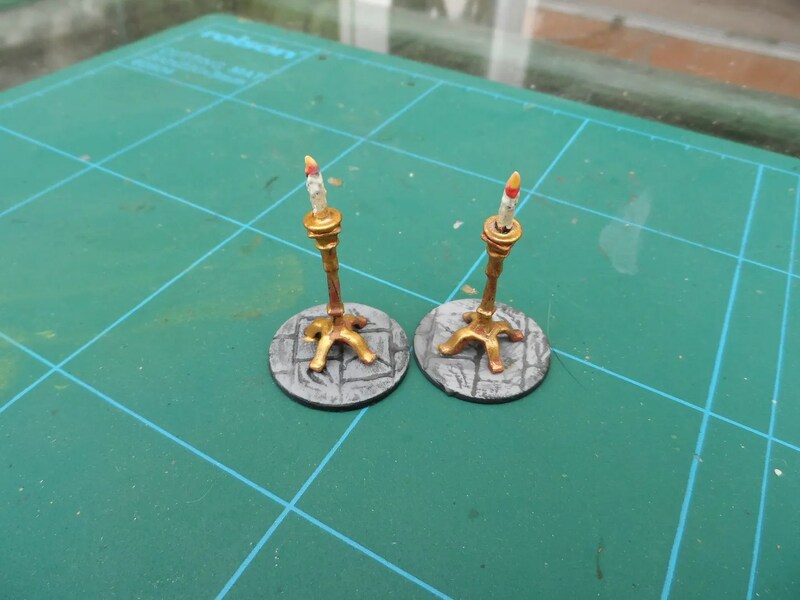 Candles on stands, from the Mantic Wizard’s library set. 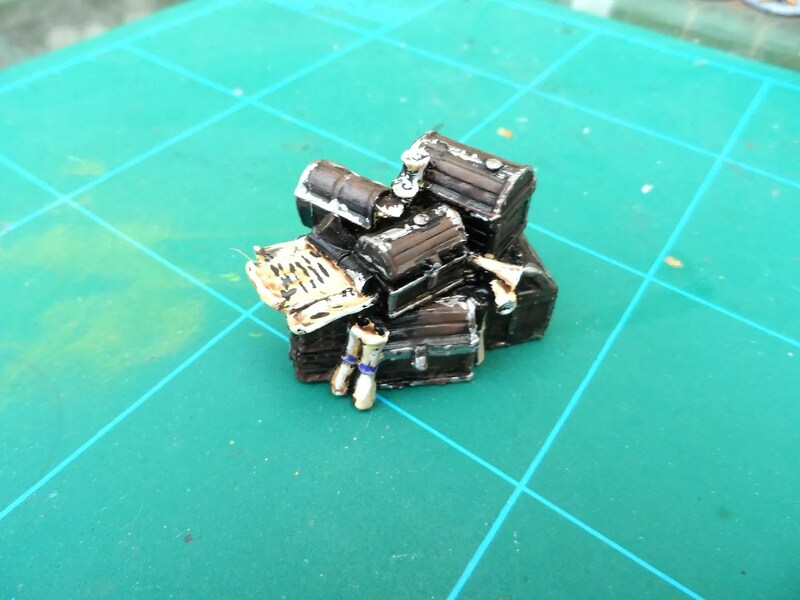 A pile of treasure chests and scrolls, again by Mantic. 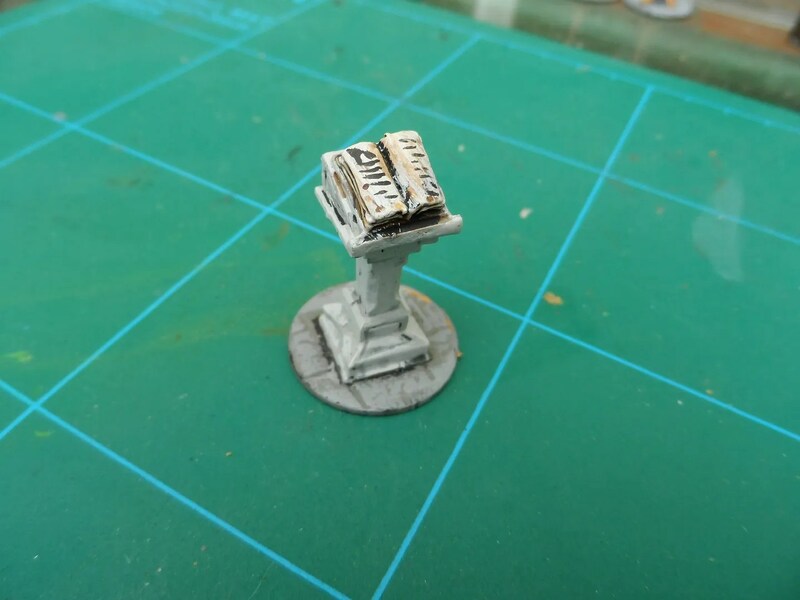 And finally, a very long awaited finished version ion the Northstar Lectern. 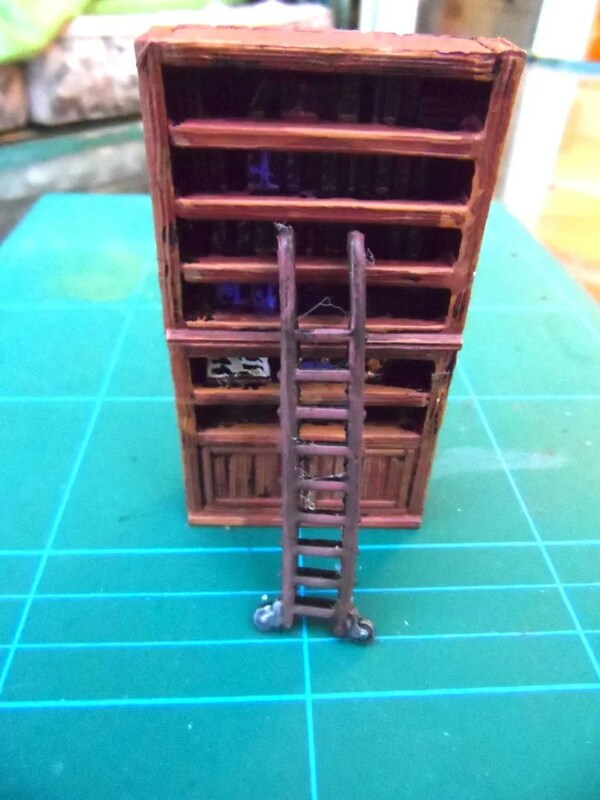 And yet another double;e height bookcase…two Mantic bookcases glued together. That’ll make a good place to put a treasure and make adventurers climb for their loot !